Make no bones about it, this may be one of the strangest jewellery ideas ever. 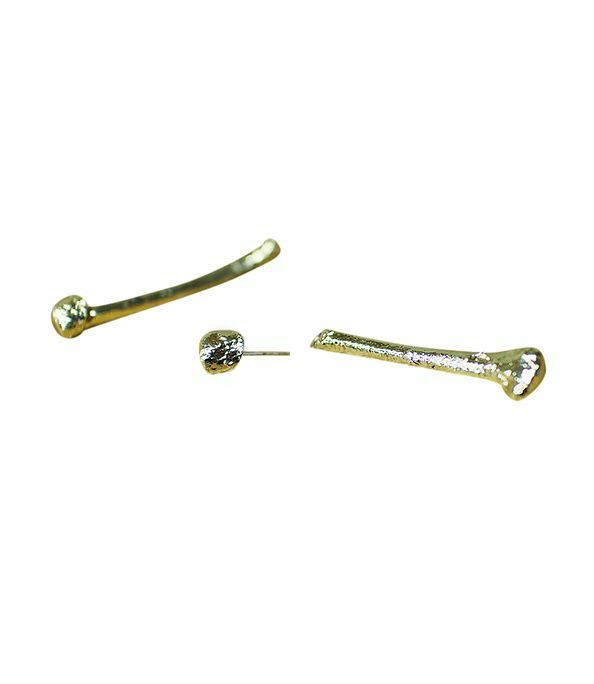 The folks at Kentucky For Kentucky, whose mission is to promote The Bluegrass State, teamed up with designer Meg Carroll to create earrings made from the actual bones of a Kentucky Fried Chicken eight-piece chicken dinner. The process of turning poultry bones into jewellery isn't simple; after having her fill of chicken, Meg cleaned the bones with soap and water, sealed them with varnish, covered them in conductive paint and copper (a process that took roughly three to four hours per bone), and plated each delicate piece in 14-karat gold. If you're interested in wearing the remnants of Caroll's fast food meal, act quickly; there are only 15 pairs of earrings, each available for $200. Keep scrolling to check out the earrings, and click here to read more about them! Would you ever wear earrings made from KFC bones? Let us know in the comments below!